If there was anything that could step higher than an already advanced ‘smartphone’ form factor, then it’s ‘genius’ device. 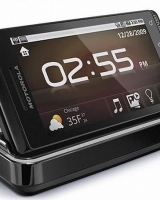 At least, that’s what Motorola has to say – as far as giving an introduction about its new Milestone 2 is concerned. So, what exactly is unique about this brainy device? Well, the smartphone with is a perfect juggernaut at both work and play – be it for using Milestone 2 as a strong Wi-Fi mobile hotspot or a mobile PC. Powered by Android 2.2 and Adobe Flash Player 10, the new device makes everything a true breeze for users who seek an intrinsic blend of powerful performance, precision and a great sense of style. 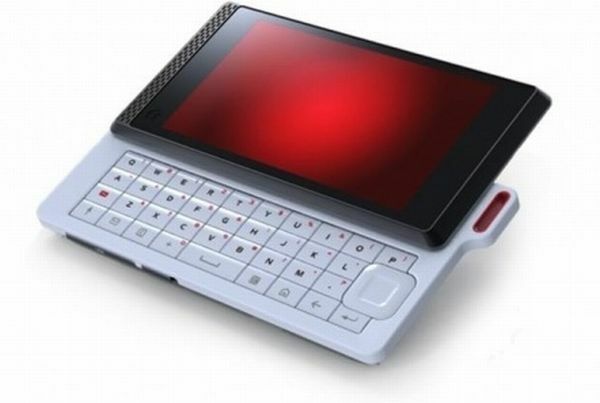 Enclosed in an amazing body, the QWERTY device rightly brings the best of your personal as well as professional lives. To give main points, Milestone 2 comes with a single objective of reclaiming the top spot in Android Messengers for Motorola. So whether you ask about the personality, pedigree or useful upgrades, the handset seems to have locked almost everything. So amidst other high end smartphones like Apple iPhone 5, Nokia N8, Galaxy S II and HTC Vivid who are doing more than anyone could expect them to, where exactly does Milestone 2 jump up? 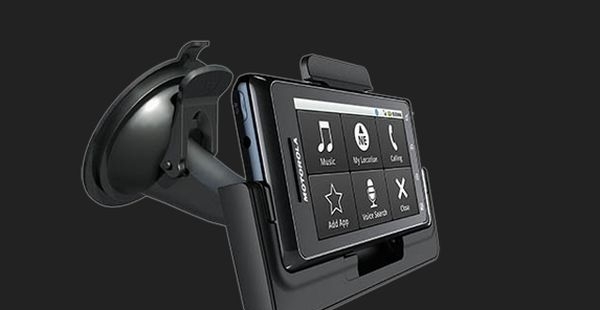 Well, the handset does a great job as well as its overall functionality is discussed across the desk. Unlike the original Milestone that rests with 256GB RAM and 550MHz processor, Motorola’s Milestone 2 has been upgraded with a speedier 1GHz TI OMAP chip and twice the memory. In fact, some may even find the handset quite better than the Nexus if an optimum Android experience is sought after. Nevertheless, the device somewhere lags behind due to its sluggishness when unlocking the onscreen and scrolling through lists. But, that nowhere leaves as a final judgment for Milestone 2. Coming to the voice quality, users may like the clear and reasonably loud call standard. The integrated battery which renders up to 4 hours and 50 minutes of talk-time on 3G and up to to 400 hours of standby on 3G is respectable too at the same time. 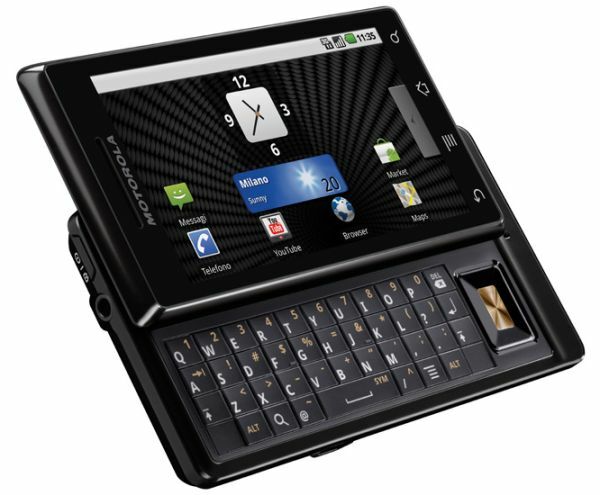 Based on Android v2.2 (Froyo) which is upgradable to v2.3, in case you were hoping for an upgraded version, Motorola Milestone 2 has several great features to feel proud of. However to begin with, the smartphone comes equipped with a huge 3.7” touchscreen display with resolution support for 480 x 854p. Which basically means, no matter what your ‘to-do’ is on Motorola’s toddler, the device lets you do just about everything in unprecedented sharpness and clarity. With its powerful 1GHz processor and Adobe Flash Player 10, you can conveniently access the web that only a Flash-supported handset can offer. You need not be on pins and needles as the quality prances as thoroughly rich and immersive. How about photography aficionados? Well, there’s a high end 5 megapixel camera with dual LED flash and digital zoom for your needs. Perking your experience even further would be the embedded real-time color effects, location geo-tagging, scene modes and image editing tools. 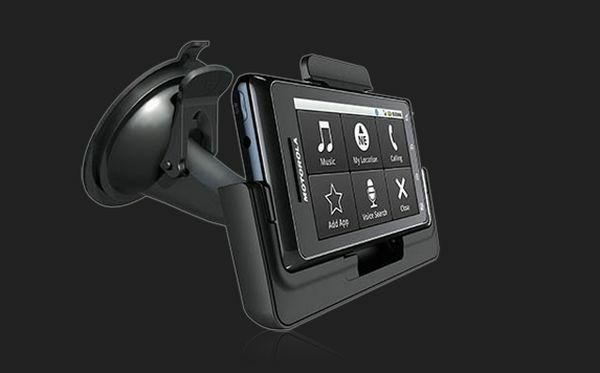 Some other highlights that might just catch you off-balance include Bluetooth v2.1 with A2DP and EDR, Wi-Fi, audio and video players, 3.5mm jack, 8GB of internal storage with microSD support up to 32GB, custom navigation, voice commands, and DLNA connectivity. In terms of design, Milestone 2 is not only eye-catchy but is also very well trimmed down. 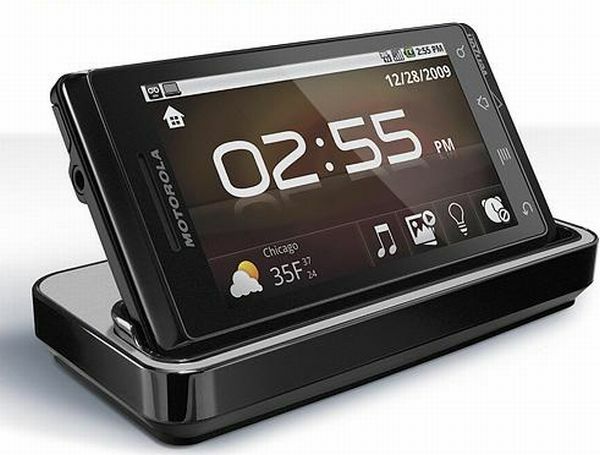 The slider QWERTY form factor of the handset is another facet that adds grace and convenience to Motorola’s unit. Quite lightweight at just 169g, the model accommodates volume keys on its right side while the left side has neatly been occupied with microSD port and LED to give you a signal of ‘dying’ battery. The front chassis, on other hand, settles luxuriously with a huge display and four touch sensitive keys: menu, home, back and search. The top end, whereas, features a power button (pretty much like Apple’s iPhone) and a 3.5mm headphone jack. Since Motorola has infused premium features and a sublime, exquisite feel to its Milestone 2, we don’t really feel wiggling the buttons here and there would have made much of a difference. Nevertheless, the phone feels amazingly sturdy and absolutely class when in hands, owing to its slimmer body. In a nutshell, the company really paid a lot of heed as far as devising the model is concerned. We pretty much like the overall solid construction and beautiful edges that not only feel super smooth, but also endow a graceful appearance to its entire framework. To wrap it up, Motorola Milestone is an awesome smartphone to hang around with. Be it clicking perfect moments, sharing something new with closed ones, surfing the web, or listening to music, the device has got a right ingredient list for almost every interest. And since there aren’t loads of choices to sift out from Android smartphones with a QWERTY keyboard, Milestone 2 makes a great pick. Tagged around Rs. 20,999, the phone for sure doesn’t disappoint anyone for what it comes with! Do all iPad models come with GPS? Sell cell phones in New York City?